Michael Hurley counsels clients on a broad range of business and legal concerns, with a focus on representing both buyers and sellers from a broad cross-section of industries in the merger, acquisition or divestiture process, and assisting clients in accessing capital markets through angel and venture-funding rounds. Michael represents businesses on formation, mergers, acquisitions and divestitures, and venture capital arrangements. He provides counsel to venture capital and buyout funds, start-up companies and investors in such funds and companies. This advice covers the full spectrum of business cycles – from start-up through maturation to exit strategies – and a broad range of industries, including information technology, health care, chemicals, construction, energy and consumer products. Michael also serves as outside general counsel to a number of private companies. As such, Michael advises clients on a wide variety of day-to-day matters, including commercial contract negotiation, implementation of privacy and cyber-security policies and procedures, structuring business organizations, business succession planning, and ESOP transactions. As part of Calfee’s Privacy & Data Security Group, Michael specializes in allocating transactional risks associated with data privacy and security protocols and policies, cross-jurisdiction data transfers, and compliance with related laws and regulations. Marsh, Berry & Co., Inc.
Michael has been named to the Ohio Super Lawyers, Ohio Rising Stars list from 2016-2019. 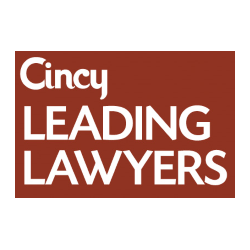 He was named to the "Cincy Leading Lawyers" list by Cincy Magazine from 2018-2019. Outside of the office, Michael is active in the community. He presents at seminars and has authored numerous publications. Michael earned his B.A. degree from Yale University and his J.D. and M.B.A. degrees from the University of Cincinnati. Michael joined Calfee’s Cincinnati office in 2014 and was elected Partner in 2019. Prior to joining Calfee, Michael worked at Blank Rome, LLP.